One of the most important forms of automotive service that you need to keep up with is the oil change. Oil is an essential component to your vehicle. It improves performance, and helps keep the fuel economy at an optimal level. That’s why at MINI of Annapolis, we stress the importance of the oil change to our drivers in Annapolis, Highland Beach, and Hillsmere Shores. When you ask yourself where to find an oil change nearby, you can always come by for a visit. Why Does My Car Need Oil? Oil’s main function is to help lubricate the moving metal parts. It allows these parts to function fluidly when rubbing against each other, and it reduces the risk of these parts creating friction, which can result in your engine overheating. Oil also has a second function in that it helps keep these metal components clean by picking up the loose dirt and debris. When oil is moving through your engine to lubricate and clean the moving metal parts, it tends to collect debris. Over time, oil becomes gritty and dark, and is less effective at cleaning and lubricating your engine. When it first enters your engine, the oil has a golden-brown resemblance; however, when it’s ready to be replaced, it looks like sludge. 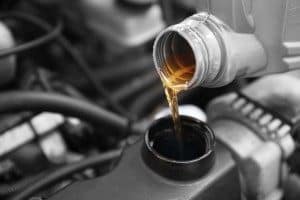 Leaving dirty oil in your vehicle will result in a moderately sluggish performance and a drop in your vehicle’s fuel efficiency. How Can I Tell That It’s Time to Change My Oil? Before inquiring about an oil change near you, you’ll need to know that it’s time to have your oil changed. The easiest and most effective way at knowing when it’s time for an oil change is by keeping an eye on your odometer and keeping track of the mileage intervals in which you had the service performed. Putting off this specific service is never a good idea, because it can have some significant consequences. As you read, it’ll have a negative effect on the vehicle’s performance and efficiency. However, the likelihood of your engine overheating becomes greater. If you forgo the oil change long enough, your engine will seize, shut down, and require a costly replacement. Whether you’ve kept track of your miles, or you’re starting to notice the signs, having a reputable service center for oil changes near you is crucial. When the time comes, you can always give us a call at MINI of Annapolis for this important service. Our technicians perform this specific maintenance daily, so your vehicle is in great hands when it’s in our shop. 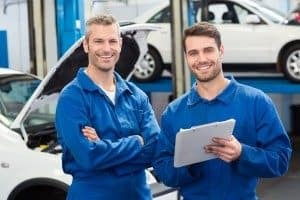 Our dealership is proud to provide drivers in Annapolis, Highland Beach, and Hillsmere Shores with preventative maintenance services to help keep their vehicle in great shape.